Big news people! 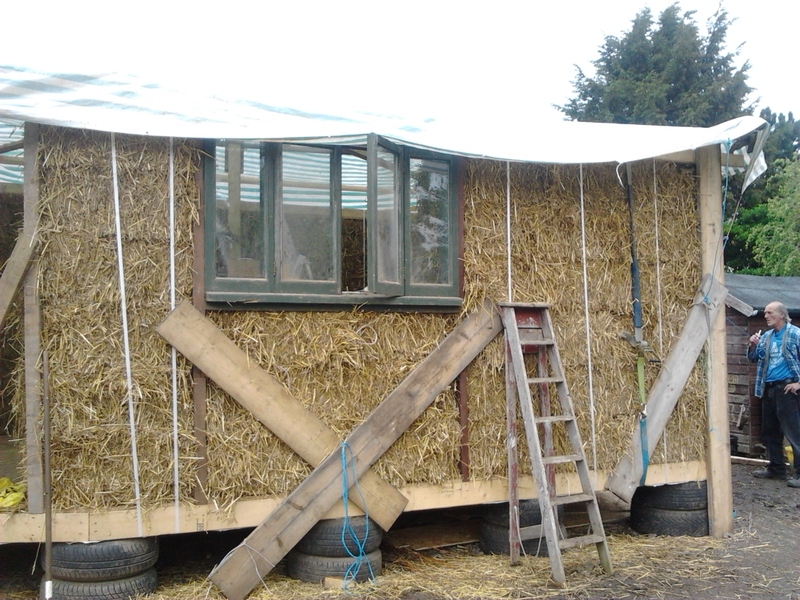 The strawbale building is starting to look like… a building! A massive thank you to the wonderful Nico and Jules and the fab volunteers! Carrying on undaunted in the rain they’re going great guns and aiming to have it done in time for our very own Diane’s birthday in late June! ​And the SPRING FAIR APPROACHES!! It’s this Saturday and we definitely need more volunteers! If you’ve got an hour spare and could help on the plant stall, cake stall or (wo)manning The Frog making pizzas then please please get in touch. You’ll get a free piece of cake for your efforts as well as the joy of being part of this lovely event. And any and all donated cakes would be extremely gratefully received. Your community garden needs you! And if you can’t help out still please pop along! With friends! With family! With strangers off the street! Come one! come all for pizza and song! cake and brass music! We’ve got LOADS of plants for sale especially plenty of brassicas, a range of exciting squashes, herbs, lettuces, flowers etc. 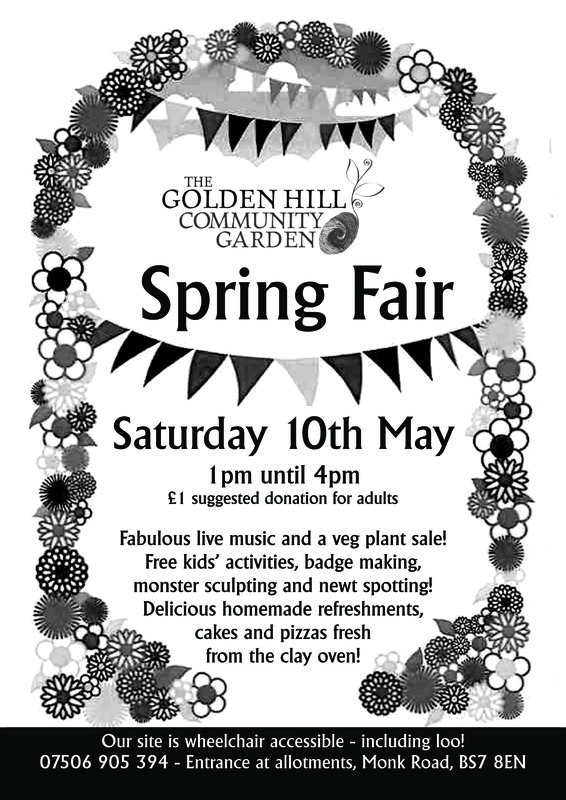 And there’s loads for kids to do and a raffle with a chance to win a veg garden. And if you can’t make it well that’s okay… but please tell everyone you know to come!! This entry was posted in News from the Garden on May 6, 2014 by GHCG.